Your questions might be even more important than a candidate’s answers. A great interviewer uses key behavioral interview questions. You get into an interview and the same, common interview questions are asked. The candidate has answered these a million times before. The interviewer has asked the same questions and heard the same answers a million times before. It’s a waste of everyone’s time! Behavioral interviewing questions are designed to reveal the true nature of a candidate’s personality, motivations, and values, so both the candidate and interviewer have a more productive interaction. 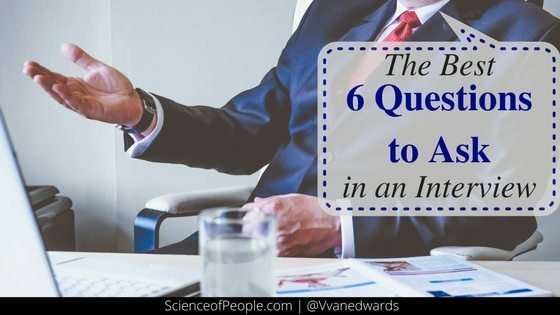 Whether you are an interviewer looking for better questions, or a candidate who wants to prepare for great questions, these are my favorite behavioral interview questions. The list below comes from real hiring managers, CEOs, and experts from leading companies such as Evernote, Nature Box, and Curology. 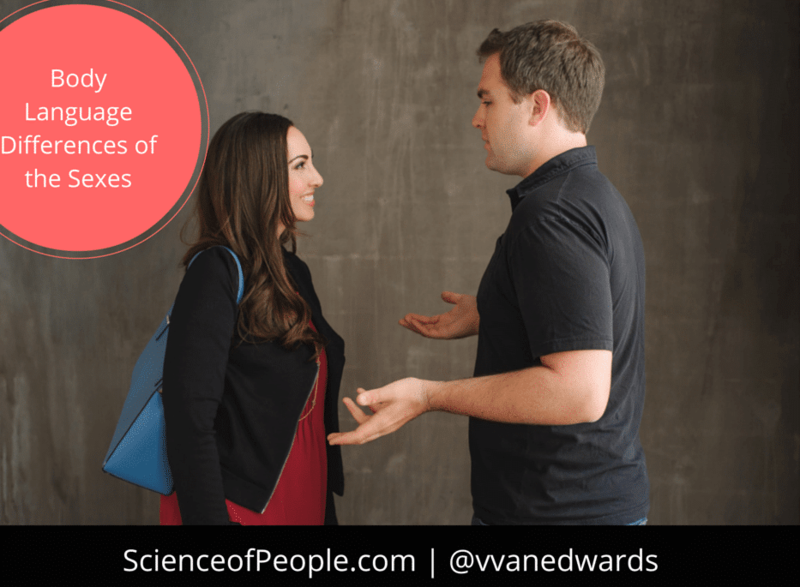 I also will reveal the questions we have created from our research at the Science of People. 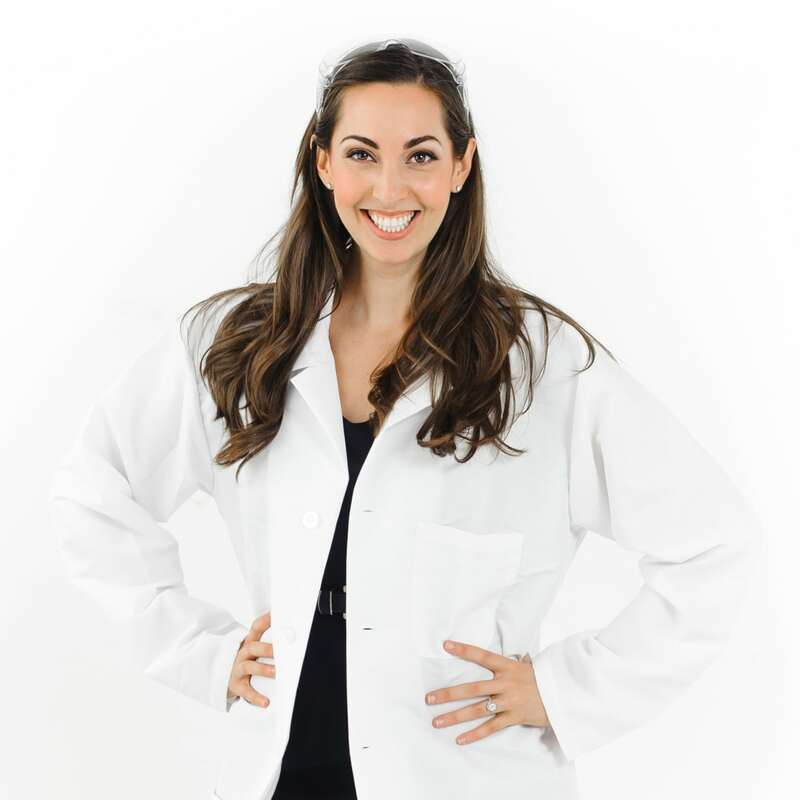 I have interviewed hundreds of candidates for both our company and our training programs. I have learned the right interview questions unlock necessary information to make sure you truly are getting to know someone’s behavior. This is the only way to know if a hire will be good for your company–and if, as a candidate, the company will be a good fit for you. Question #1: What’s something that you used to believe but no longer believe? Can they easily recall a time they have changed their mind? If not, you might have someone is very stuck in their ways. What was the magnitude of the change? If someone says, “I used to believe in the Easter Bunny and no longer do.”, that shows a lack of seriousness. However, if someone answers, “I used to believe charisma and leadership were genetic, but now I believe they can be learned, and leadership is a skill I have been working on.” Wow! Winner! Question #2: Who were the competitors at the last company you worked for and how did your company differentiate itself? When an employee is aware of all three — even if it doesn’t directly tie into their job, it shows they are thinking whole-mindedly about why they do what they do. Question #3: Tell me about your best and worst days at work. I would recommend taking this a step further and thinking about what your ideal answer to this question is as an interviewer. If you were to ask your top performers this behavioral interview question, how would they answer? What examples would they give? If you find a candidate who has similar answers to your top performers–they are a winner! Question #4: If I called your current boss, what would they say about you? How does someone work under pressure? This is a tough question EVEN if their boss loved them. It’s hard to talk about yourself positively or negatively. How does someone talk about themself? Are they a boaster, a downer, humble, smooth-talking? How do they respond? How does someone talk about their past boss? This is an important one. You want to know how someone has processed a previous relationship. Do they hold grudges? Resentment? Praise? You can ask this question only if you actually are willing to call their previous boss–especially if you hear something that piques your interest and you want to confirm it. Question #5: Are you working on anything exciting outside of work? If they can’t think of anything. It could indicate poor work/life balance. If someone is obsessed with work, they might not have time for anything else. Does that work for you culturally? If they say something generic. This could be a lack of creativity, but it also could be nerves. How important is well-roundedness to your company? How important is easy small talk and nerves-free banter? If they have a fascinating or surprising answer. Great! You might get a sneak peek into who they really are. How does that fit with your company? Their comfort level with this question also will tell you a lot about how this candidate might socialize with colleagues, which is important for work environment chemistry. Question #6: You have two teleportation devices. Where do you place them and why? This question might feel irrelevant or silly–and it is a little “out of the box.” But that’s a good thing! How does your candidate do on the spot? How creative can they be? What does their answer tell you about their priorities? This is also a great opportunity to lighten the mood in an interview if you want to give an answer too, and also have a laugh. Question #7: Wait…do you remember all of our names? This is intense, but the skills of remembering names, having self-confidence, and quickly memorizing people’s details are essential for sales roles. Why not test those abilities right in the interview room? Question #8: If you didn’t have to work, why would you come into the office? This question comes from Gautam Gupta, co-founder and CEO of NatureBox. This is the perfect behavioral interview question because it looks directly at motivations and interest. You can gauge someone’s why very quickly — do they work for the money, the status, the appreciation? 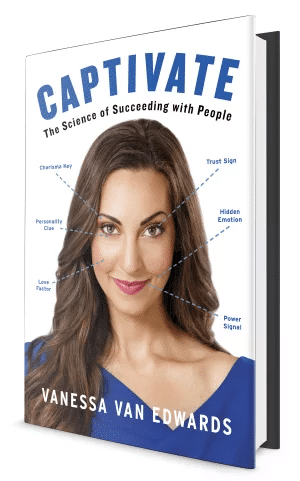 In my book Captivate, I present research that argues each of us has a primary value. The underlying motivation that drives a person’s decisions, actions and desires. Again, think of your ideal answer to this question. What do you hope will drive your potential employees? Question #9: Describe the last significant conflict you had at work and how you handled it? No one likes conflict. But it happens. How will your candidate deal with it? History is your greatest help. This question will tell you a little bit about how they view conflict and how they might handle it. You also are looking for an honest, specific answer. Watch out for any red flags, such as obvious or potential lies. This question comes from Kent Porter, founder and CEO of Porter Leadership Development. Here’s why he likes it, and why you should use it too! Be prepared to ask follow-up questions — get details, use specifics. The more you know about how they handled the past, the more you will know about how they might handle the future. Question #10: Is there something I didn’t ask that I should have asked you? I like to give candidates an opportunity to showcase a special talent, need, or request. If your interview is too carefully choreographed, you will not give a candidate sufficient space to share something important. This is a chance for them to shine — and they should take it! If they say that everything was covered, you might wonder how prepared they were, or if they want to go above and beyond. If they overshare here, that could tell you something as well. Bottom Line: Every answer is a behavioral clue. Listen closely to your candidates’ answers AND watch how they answer. 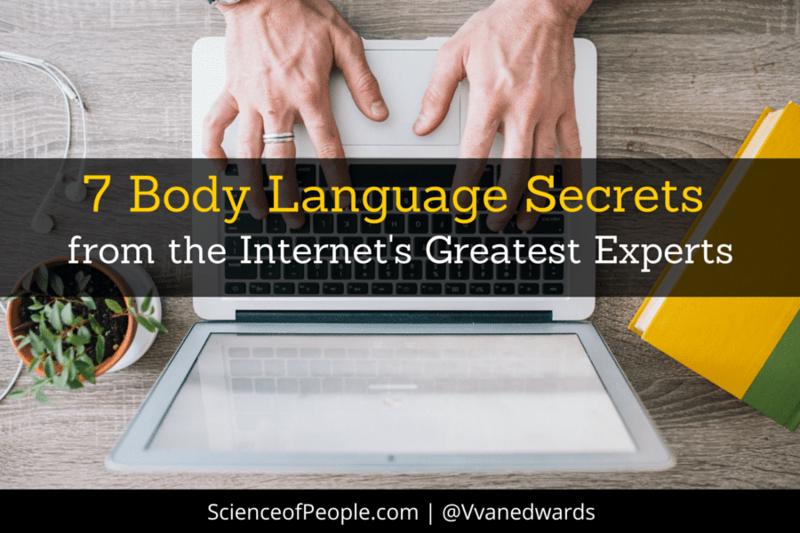 Research shows that nonverbal cues are a minimum of sixty percent of our communication. 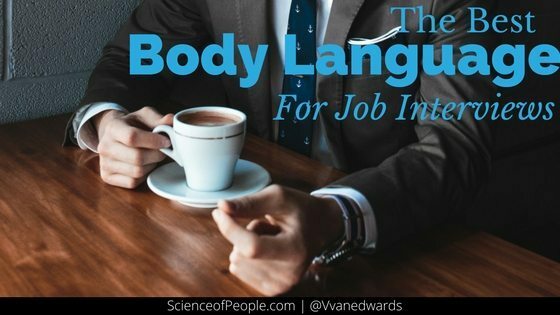 Even if someone has a perfectly scripted answer, pay attention to their body language, their tone of voice, their nervous gestures. Behavior is both words, actions and signals. Take them all in! PS- Have great behavioral interview questions you use? Tweet me.